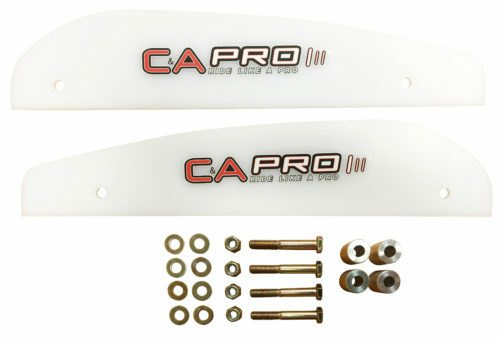 Cornering kits for C&A Pro snowmobile skis are an excellent way to get your sled through the sugary snow on the race track. The cornering kits are designed to give your snowmobile skis extra surface area to push snow away in the corners instead of having it pile over the top of your ski saddles. 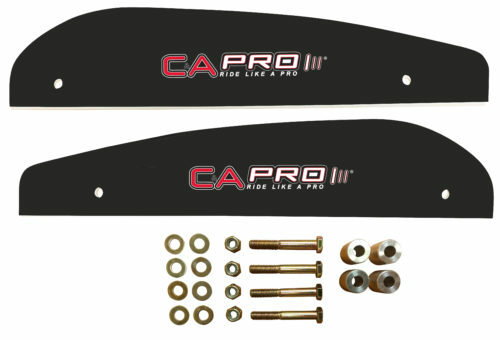 These are primarily used for racing applications, but can be used for other situations where cornering on a dime is a must. Black and White color options are available and each kit comes with 2 plastics (1 for the outside of each ski), spacers and hardware.